In North America, Labo(u)r Day weekend is upon us. The end of summer. Back to school. Last chance to get some pre-class reading done! Blackburn, M. L., 2014. The relative performance of Poisson and negative binomial regression estimators. Oxford Bulletin of Economics and Statistics, in press. Giannone, D., M. Lenza, and G. E. Primiceri, 2014. Prior selection for vector autoregressions. Review of Economics and Statistics, in press. Gulesserian, S. G. and M. Kejriwal, 2014. On the power of bootstrap tests for stationarity: A Monte Carlo comparison. Empirical Economics, 46, 973-998. Elliot, G. and A. Timmerman, 2008. Economic forecasting. Journal of Economic Literature, 46, 3-56. Kiviet, J. F., 1986, On the rigour of some misspecification tests for modelling dynamic relationships. Review of Economic Studies, 53, 241-261. Otto, G. D. and G. M. Voss, 2014. 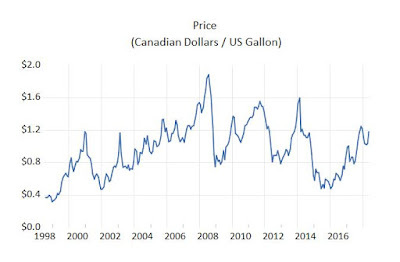 Flexible inflation forecast targeting: Evidence from Canada. Canadian Journal of Economics, 47, 398-421.